It’s been 50 years since humankind took those first daring steps onto the moon — a moment etched on history (and the limits of possibility) forever. 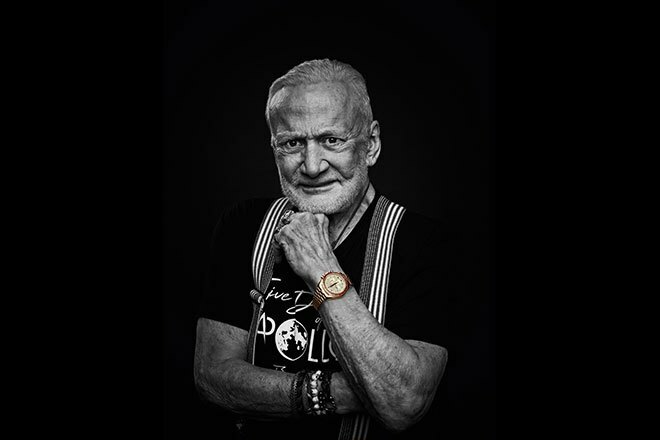 On this golden 50th anniversary, OMEGA is honouring the occasion with a brand new Speedmaster timepiece that boasts an intimate connection to the astronauts and the legacy of that legendary Apollo 11 mission. Neil Armstrong and Buzz Aldrin were the first humans to walk on the moon’s quiet surface. This iconic moment happened on the 21st of July, 1969. Though the moonwalk lasted just two and a half hours, their achievements left an indelible mark on the history of space exploration. 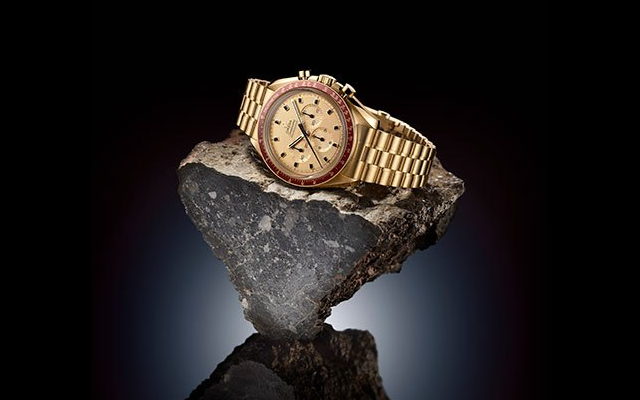 Thus, the OMEGA Speedmaster Professional became the first watch worn on the moon. Marking the golden anniversary of the first moon landing, OMEGA has produced a new Limited Edition Speedmaster of 1,014 pieces, delivered with a five-year warranty. Following the famous design of the Speedmaster BA145.022, this new chronograph has been crafted from an exclusive new 18K gold alloy and is powered by a brand new manual-winding Master Chronometer calibre 3861.